Satyendra Nath Bose was a Bengali-Indian physicist and mathematician, best known for his work with Albert Einstein on the Bose-Einstein Condensate as well being the namesake of the boson particle. Bose was born in Kolkata, India on January 1, 1894 as the eldest and only male child of his family. His mother had no formal education, but ensured that her children never lacked the same. Bose, always having been an intelligent student, was encouraged in the pursuit of studies by his mother. Bose had a brilliant academic record all his life. He outperformed his entire class in mathematics during his B.Sc. in 1913 and M.Sc. in 1915. He was married in the same year he received his masters degree. 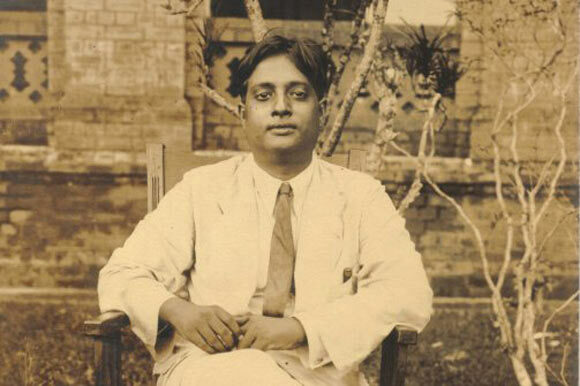 As administrative government service was not an option for Indians back then, Bose decided to pursue further studies and enrolled at the University College of Science in Kolkata in 1917. Here, Bose had access to research material on quantum theory and relativity which was a novelty for Indian colleges at that time. He also studied theories on Statistical Mechanics by the American mathematician and physicist J. Willard Gibbs as well as Einstein’s publications on the theory of relativity. He also taught courses to graduates and undergraduates there and set up research laboratories for students. In 1919, he collaborated with Meghnad Saha, who had been a fellow student and high achiever with him at the University of Kolkata. The two undertook to translate Einstein’s papers on the theory of relativity from German and French into English, after obtaining Einstein’s permission to do so. He and Bose continued to present papers on physics and mathematics, even after Bose was appointed as a lecturer of physics at the University of Dacca in 1921. In 1924, Bose made the biggest breakthrough of his career when he wrote a paper in which he derived Planck’s “quantum radiation law”. This he did by counting the number of identical states, without any reference to classical physics theories. This paper was of immense importance as Planck’s law had not been proven satisfactorily up to this point. This paper was submitted by Bose to Einstein for his review. Einstein was considerably impressed with Bose’s research and translated it into German and further submitted the paper to the European Physics Journal (known as Zeitschrift für Physik) with his personal recommendation. Einstein used Bose’s basic concept and further extended the research into the field of material physics. Bose’s paper received international acclaim and in October 1925, he obtained a two year leave from his teaching position and travelled to Paris to meet with prominent scientists including Einstein and Marie Curie. Einstein and Bose’s collaborative research came to be known as the Bose-Einstein Condensate and a certain type of particle was named “boson” in recognition of the contributions made by Bose. This particle is sometimes called the “God particle” and Bose himself came to be known as “The Father of the God Particle”. In 2013, further research in the field by the scientists Peter Higgs and Belgian physicist Francois Englert led to them winning the Nobel Prize in Physics. Bose himself was never awarded this honor although several notable scientists feel that it was rightly deserved by him. Bose was appointed as the head of the Physics department at the University of Kolkata upon his return from Paris in 1927 and he continued to hold this position until 1945. Bose stopped publishing papers for a long time after his return and instead chose to focus on other fields such as philosophy, literature and the Indian independence movement. He was awarded the title of Padma Vibhushan by the Indian government, which is the second highest civilian award in India, and in 1959, he was appointed as “National Professor” which is the highest honor received by a scholar in India. Other honors include adviser to the Council of Scientific and Industrial Research, the president of the Indian Physical Society and the National Institute of Science and appointment as Fellow of the Royal Society in London in 1958. Satyendra Nath Bose died on February 4, 1974. The S.N. Bose National Centre for Basic Sciences in Salt Lake, Calcutta is named in his honor.